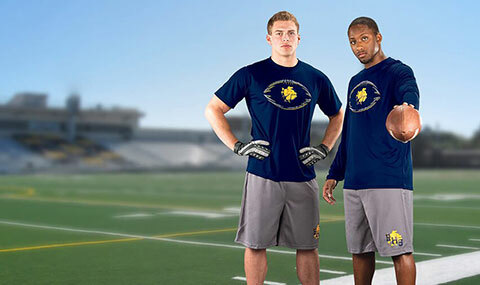 Champion Teamwear has the key football uniforms and accessories for your team. Get up to $250 toward your football items! Train toward victory in custom tees. Find the practice essentials you need here. Remain sweat and odor free with UltraFuse uniforms. Throw, turn and catch in flexible jerseys. 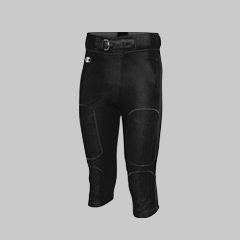 Durable and flexible, dominate each play in Champion pants. 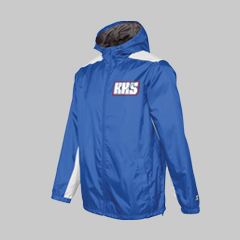 Show football pride, rain or shine. Create customized football uniforms from Champion Teamwear (formerly GTM Sportswear) that are sure to intimidate the competition! Our football collection also includes warm ups, hats, bags, team tees and much more. 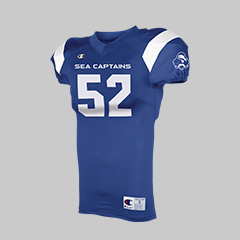 Outfit your entire team today in new football apparel and uniforms!